I love formal Christmas trees. 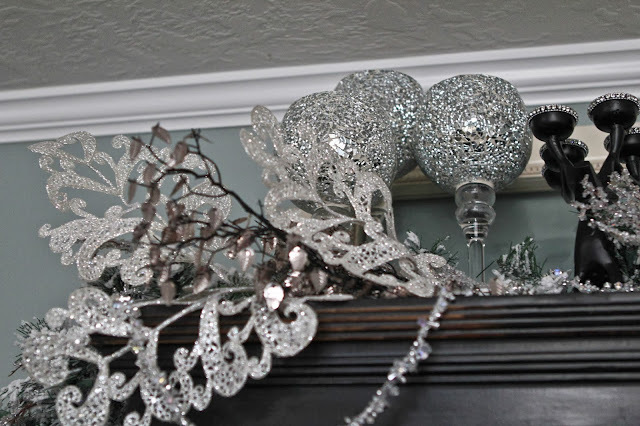 There are some of my favorite ones to decorate at my clients homes. So I decided this year that I wanted to decorate my house a little more formal, but keep it with a little bit of a playful nature. So I did a white, silver, antique gold, and black tree. Then i added Champagne pink and a rose pink to the tree. 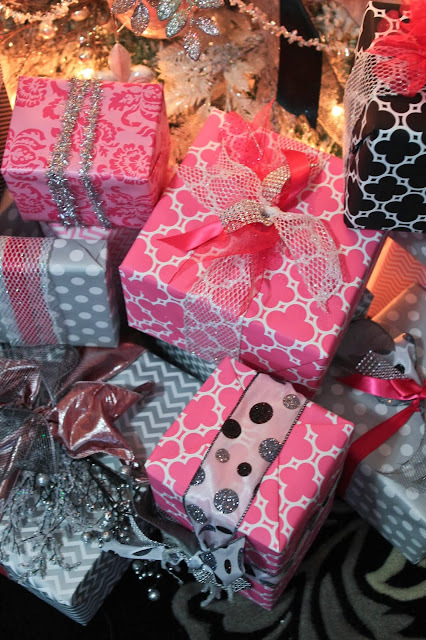 I figure, I'm a single girl, might as well make it as girly as possible! I never thought that finding pink ornaments would be as hard as it was! 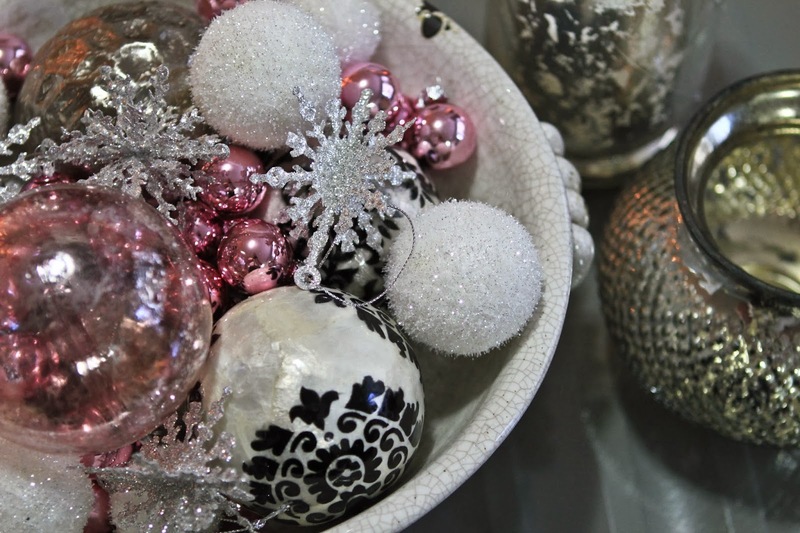 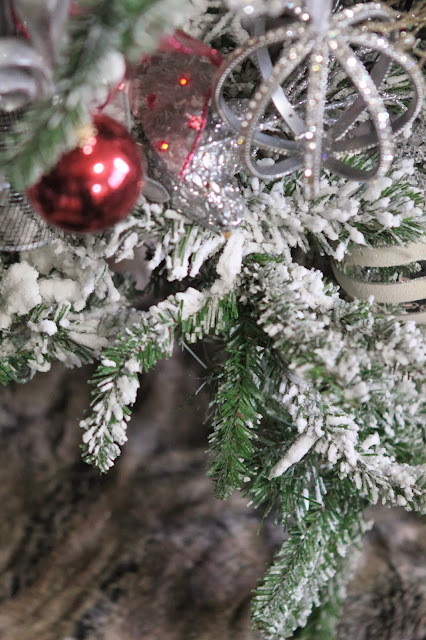 This is the bowl on my coffee table, I mixed snowballs, snowflakes and ornaments mixed with mercury glass vases. 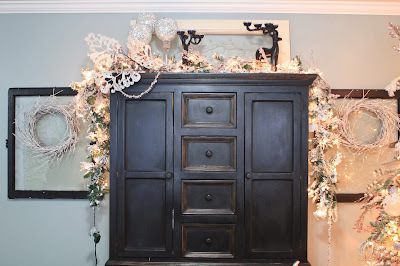 I cant find my fur stockings, so sadly they are not hanging like they should be on there hooks. 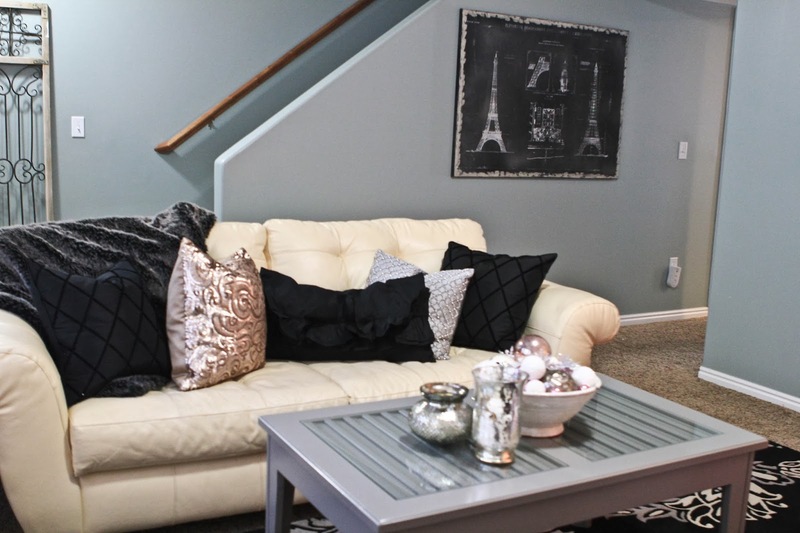 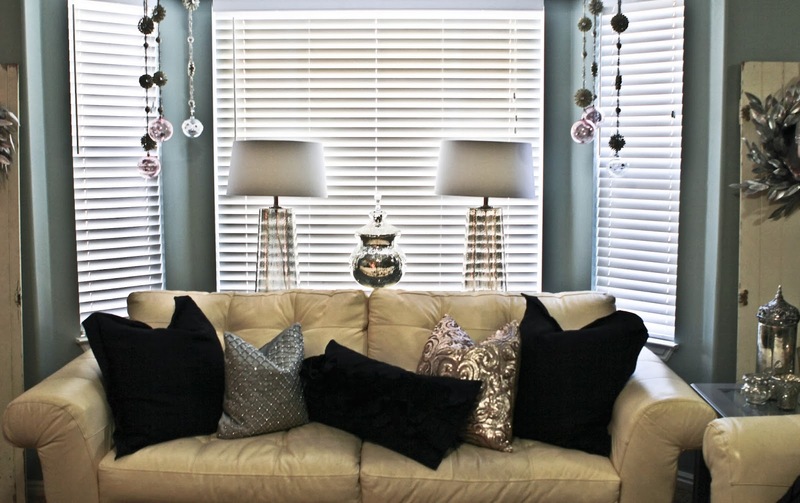 Grey, black, and Champagne pillows on the sofa now! 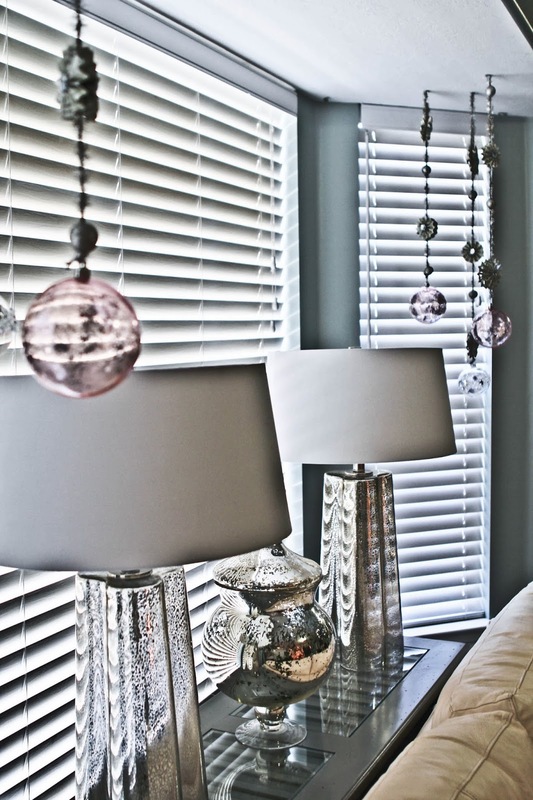 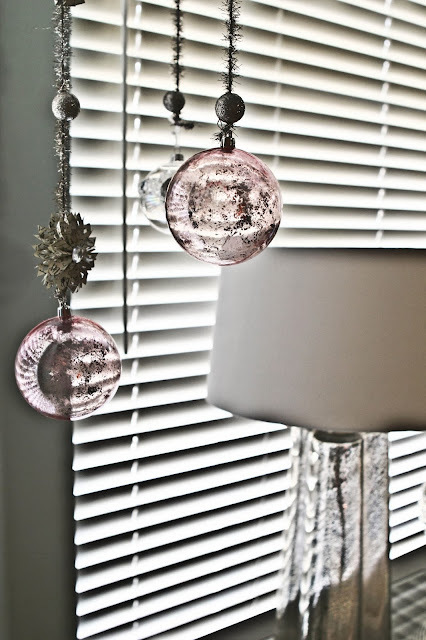 I have gorgeous ornaments hanging in the window, along with my mercury glass lamps. 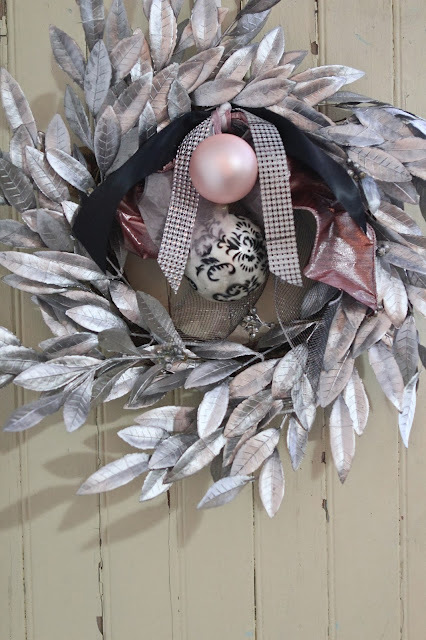 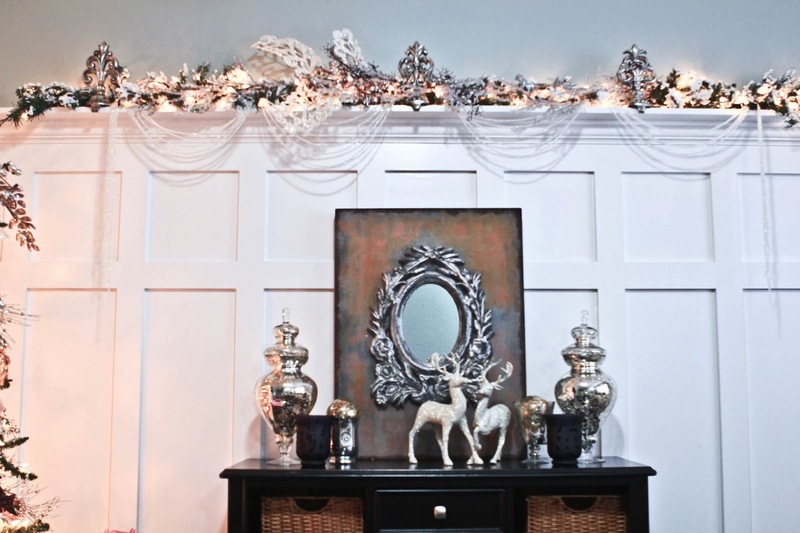 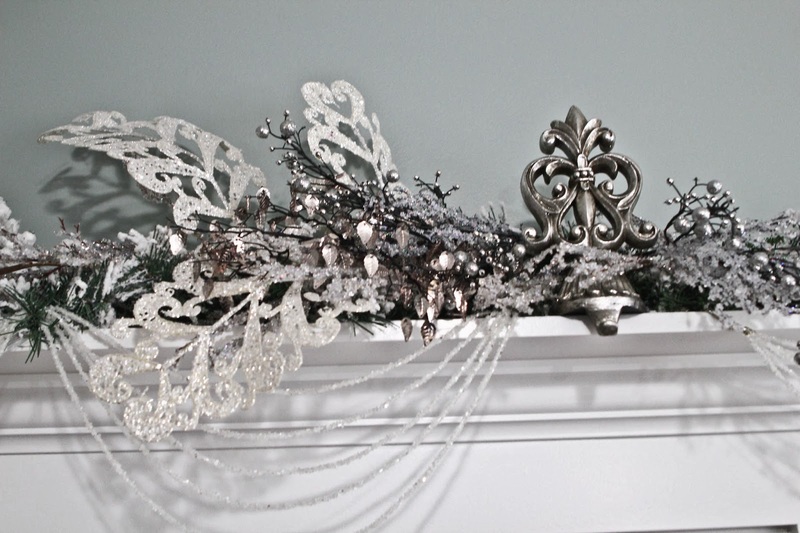 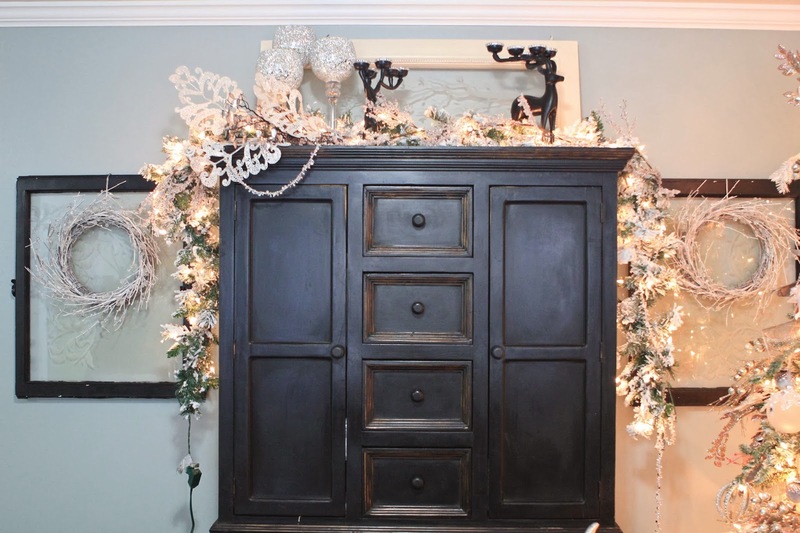 I have wreaths adorning both sides of the French doors on both sides of my sofa. 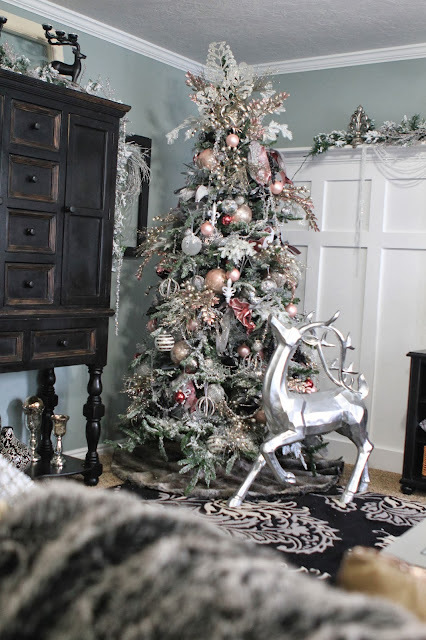 This year, I had the opportunity to do an amazing product photo shoot with Loft 317 and there wrapping paper, ill talk a little more about them on my next post with the Santa Tree, and a Winter Tablescape that ill post in January. 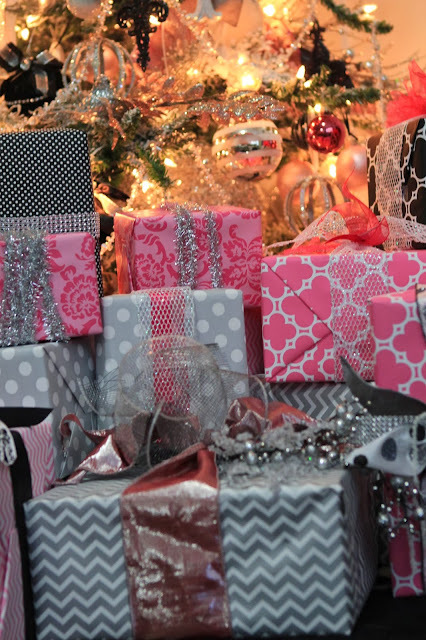 Just know, they are an amazing company with incredible product! 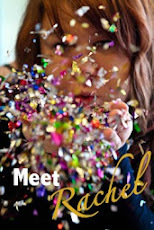 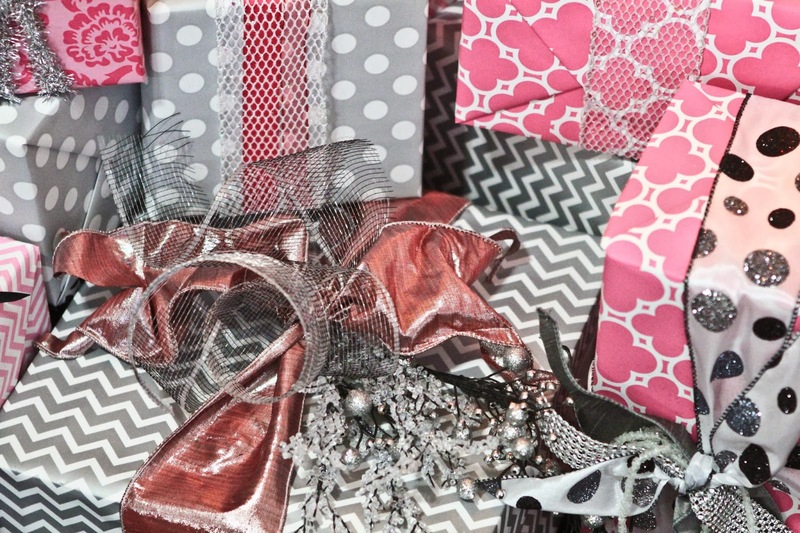 The quality is unlike anything I have ever used before! Check them out HERE! 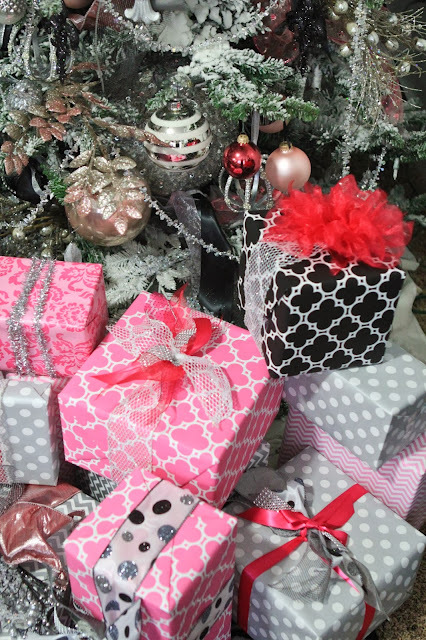 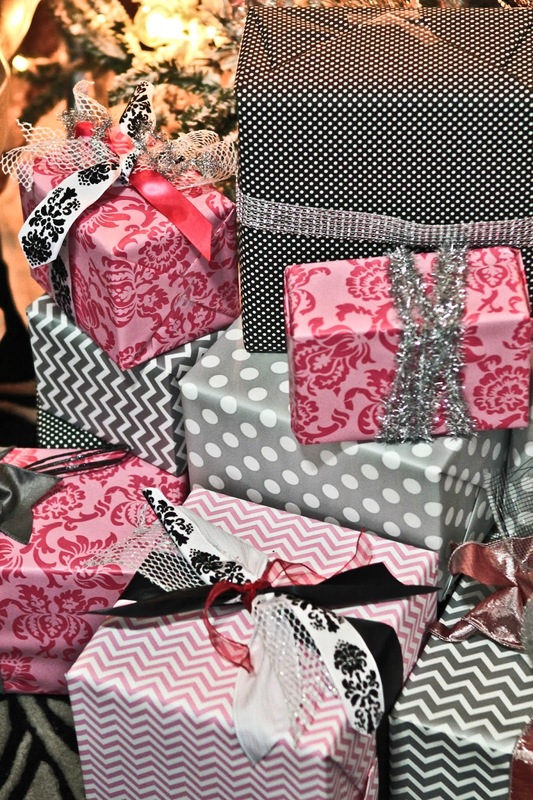 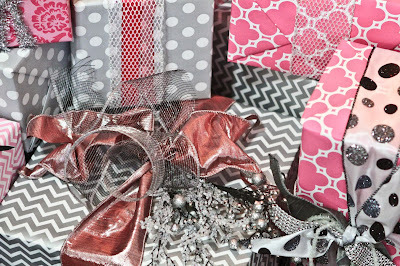 I went beyond the traditional Christmas wrapping paper, and used silver, blacks and pink. But I love the prints and how they all turned out! 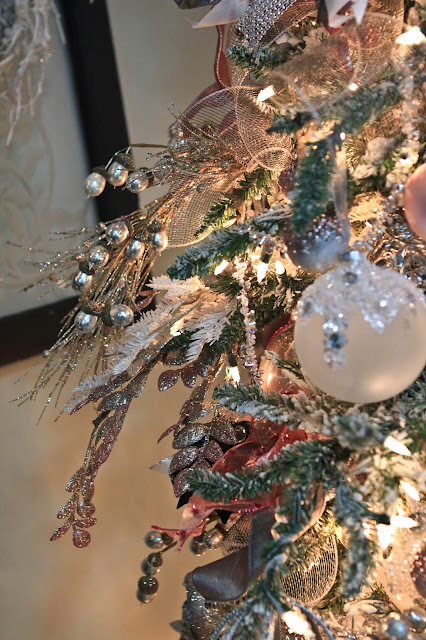 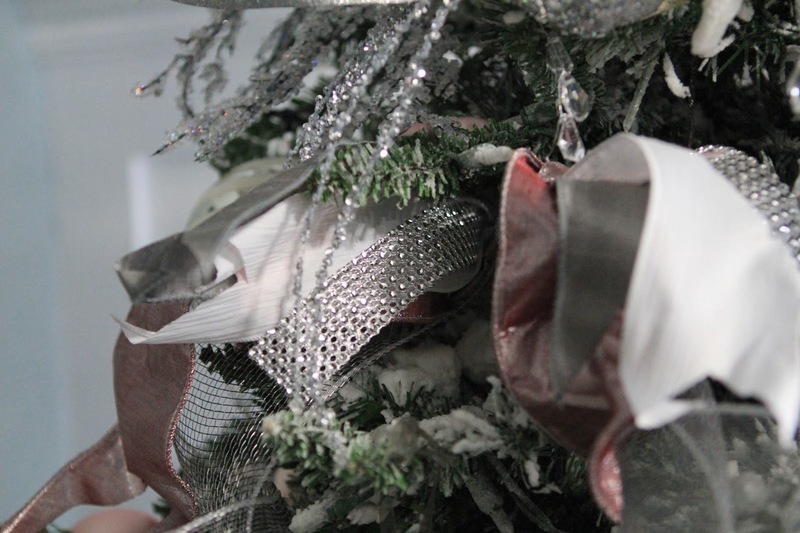 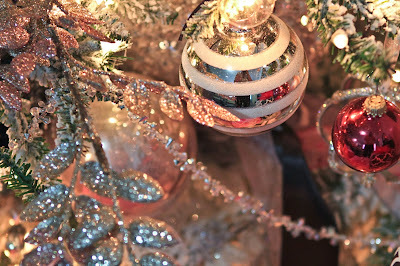 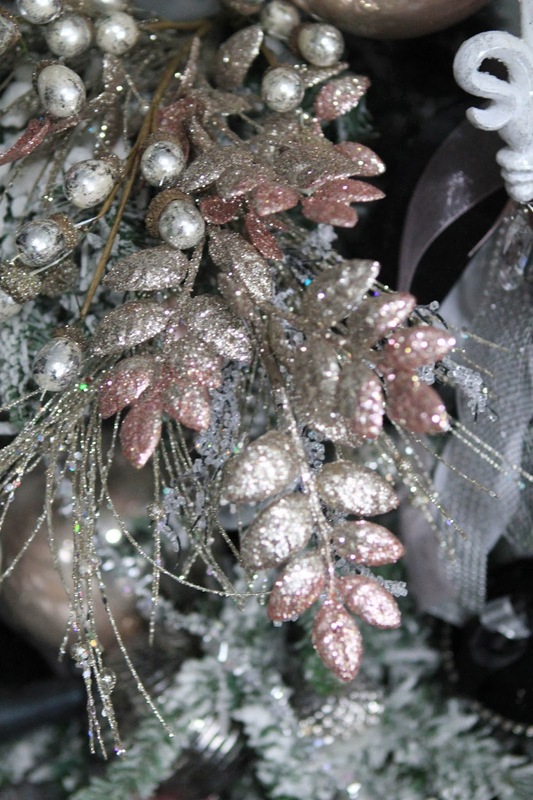 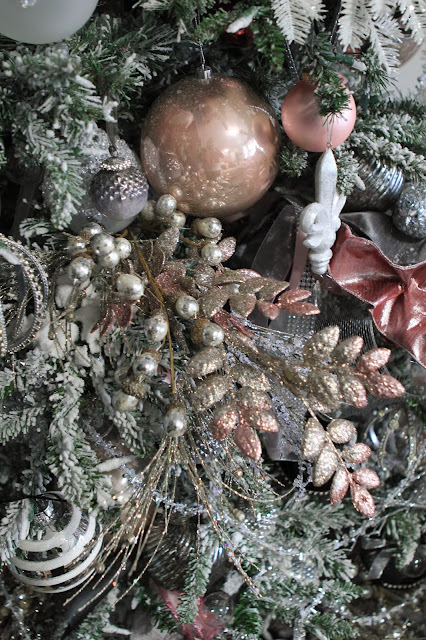 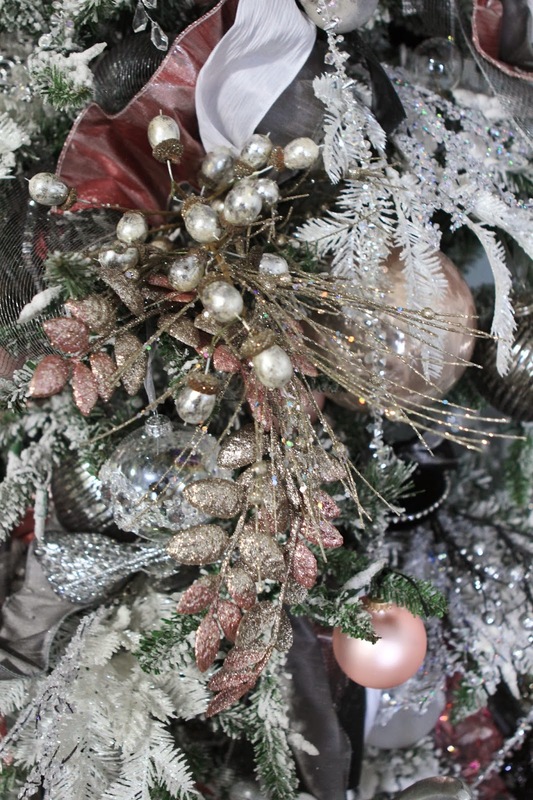 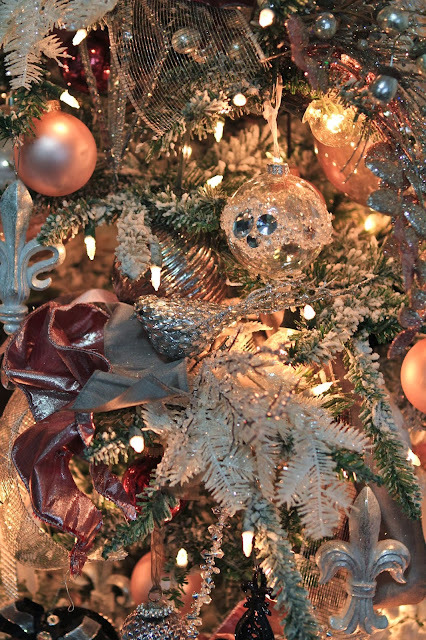 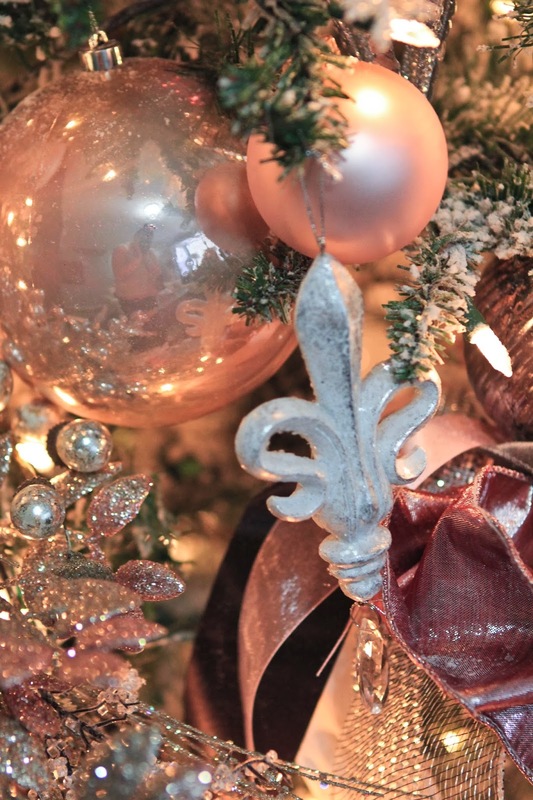 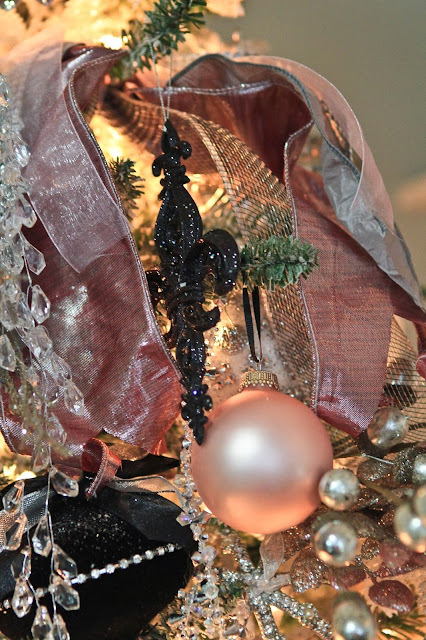 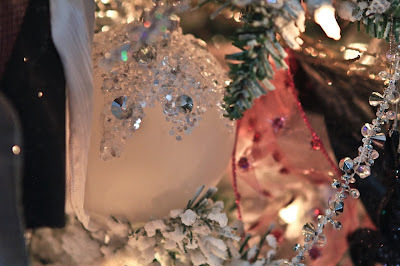 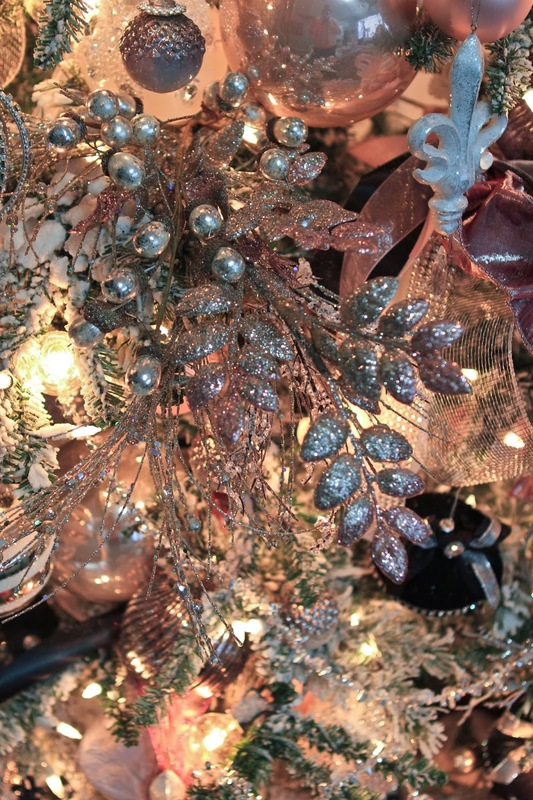 Details from the tree, lots of variety of ribbon, pink ornaments, glass ornaments, and so much more! 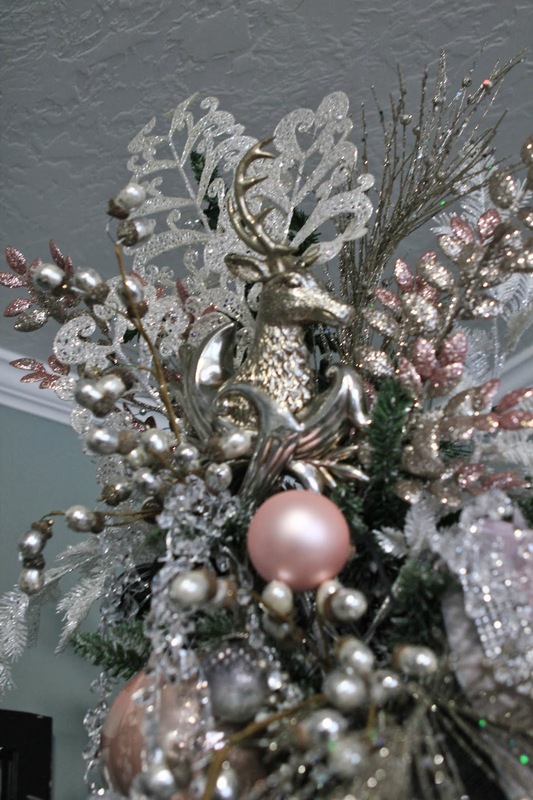 Tree topper, lots of fun sprays, along with a antique gold deer. 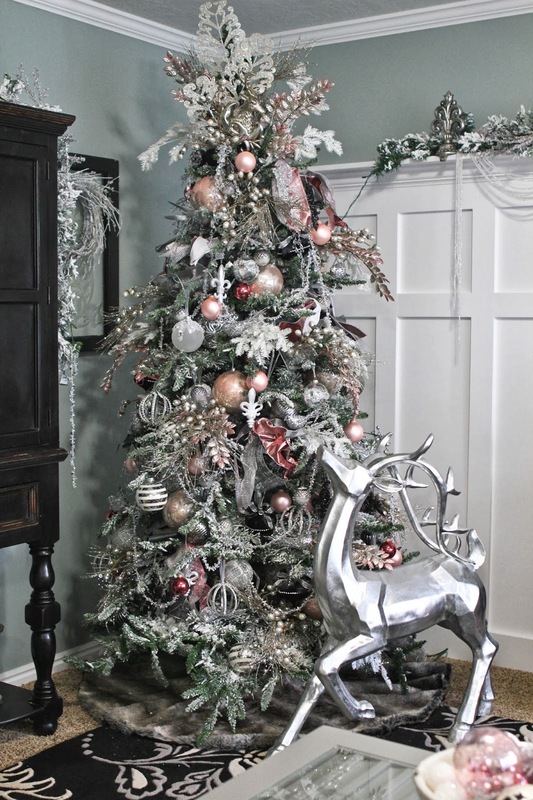 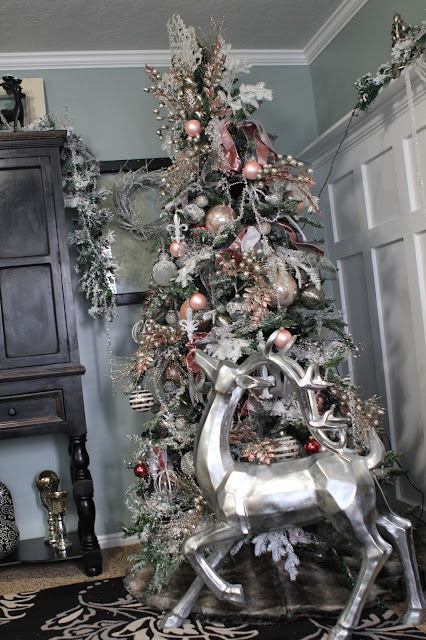 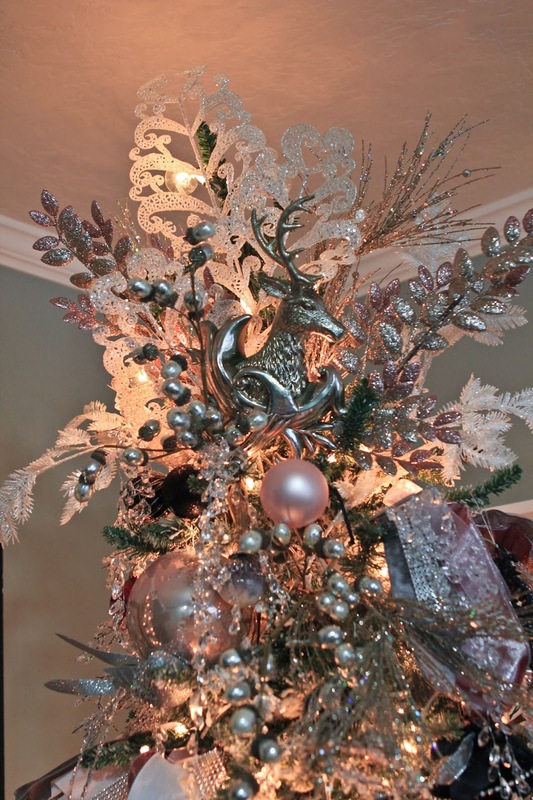 You may have noticed the GORGEOUS modern silver deer in front of the tree. He was the entire inspiration for this tree. 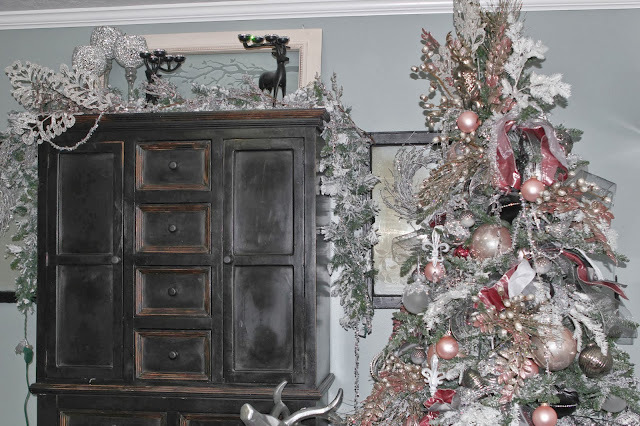 I hauled him all through TJ Maxx Home Goods once I found him in October.